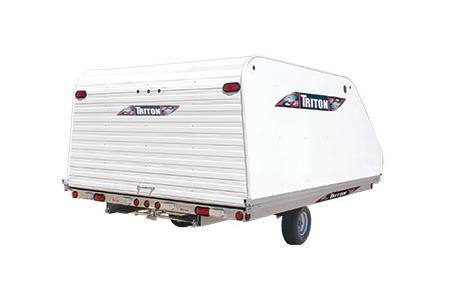 2018 Triton 2KF 10 ft.
Keep your Triton trailer, snowmobile and equipment clean and safe from the elements with quality Triton Coverall covers. Tapered sidewalls allow for greater visibility and aerodynamics. All-aluminum unibody frame and innovative engineering result in the most usable inside width available on the market. 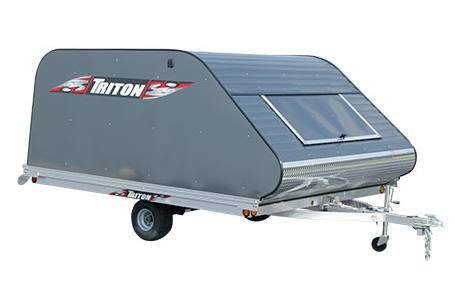 Coveralls are designed to fit 10’, 11’, and 12’ Triton Trailers. Tapered side panels for better visibility and aerodynamics. Vinyl t-handle cover protects the key hole on the latch from the elements. 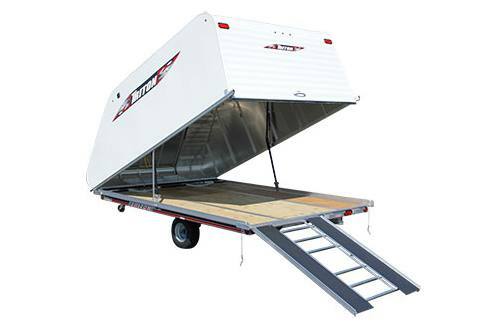 Gas shock assisted lift system for easy, smooth opening and closing of your cover. Safety prop arm provides added security on windy days. 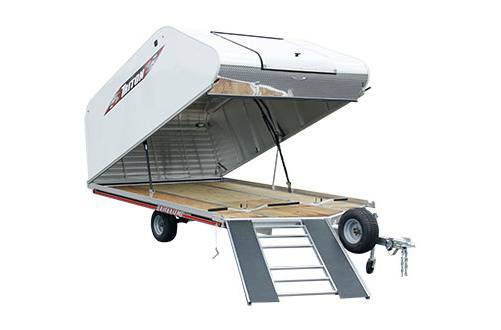 2018 Triton 2KF 11 ft.
2018 Triton 2KF 12 ft.
2018 Triton 2KF High Boy 11 ft.
2018 Triton 2KF High Boy 12 ft.